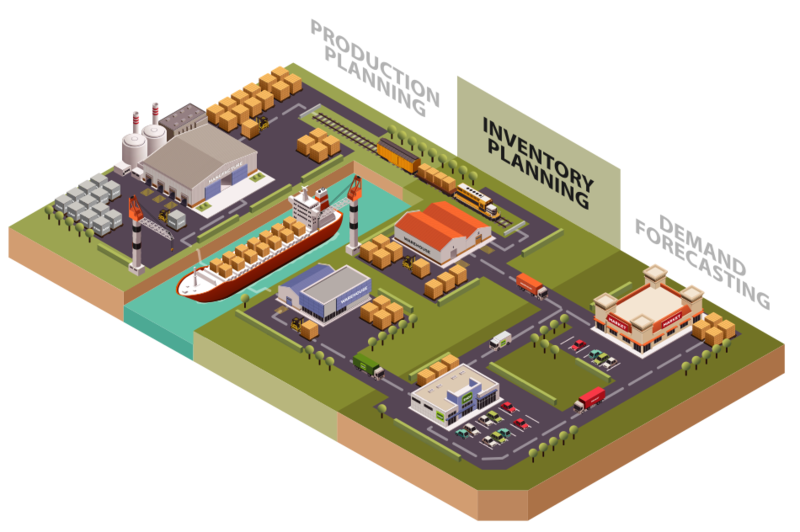 Correctly dimensioning the inventory across the network is important in today’s complex supply chains. FrePPLe computes safety stocks and reorder quantities for raw materials, intermediate products and end products. How often a replenishment should be ordered from a supplier is a recurrent question for a planner. 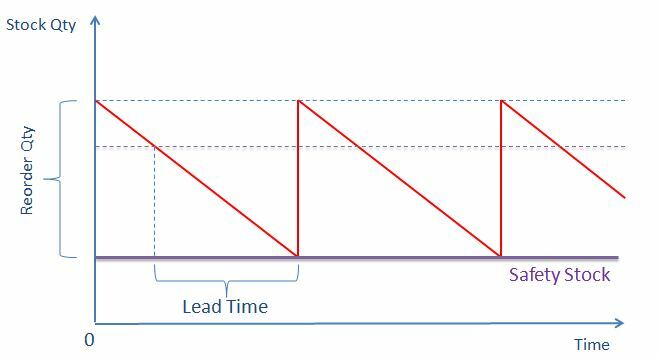 It is not possible to manage inventory policies (minimim service level, minimum ROQ…) at item-location level for large supply chains. 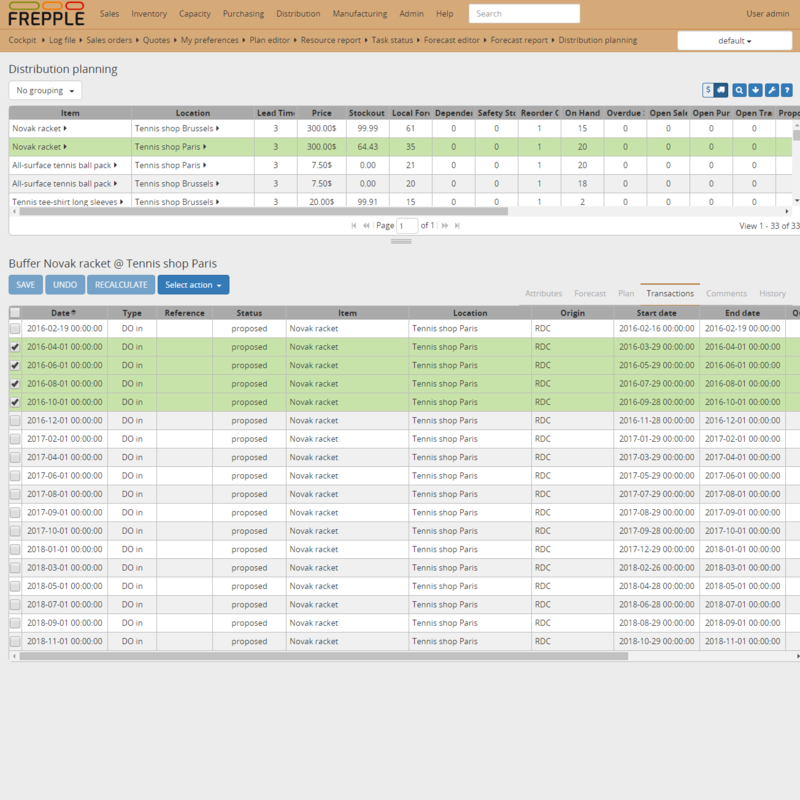 FrePPLe introduces the concept of segments and business rules to apply inventory policies to many item-locations at once. Segments are a collection of item-location combinations sharing some properties defined by the planner (E.g: Fast moving items in warehouses). 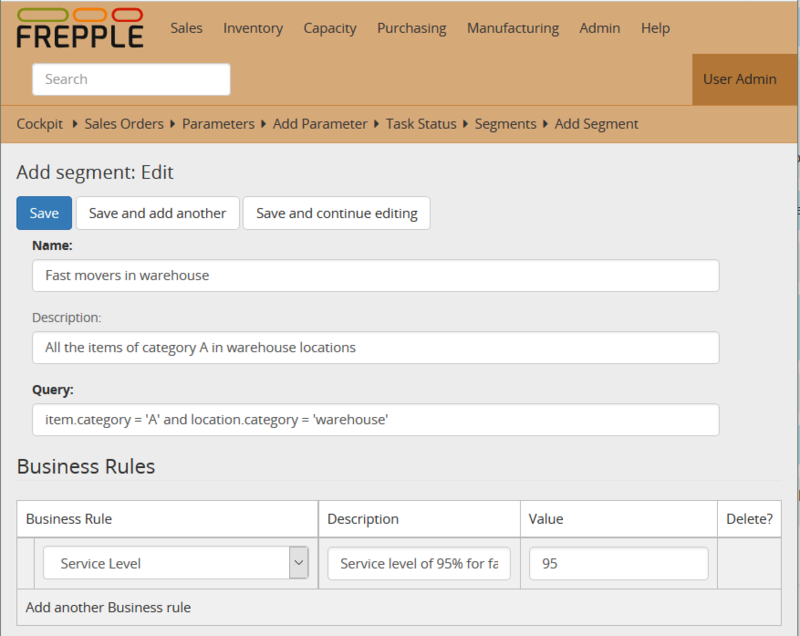 Business rules allow the planner to set inventory policies to segments (Minumum service level 95% for fast moving items in warehouses. Purchase orders: Orders to your suppliers with a supplier selection logic applied. Distribution orders: Replenishment orders between two locations within your supply chain. 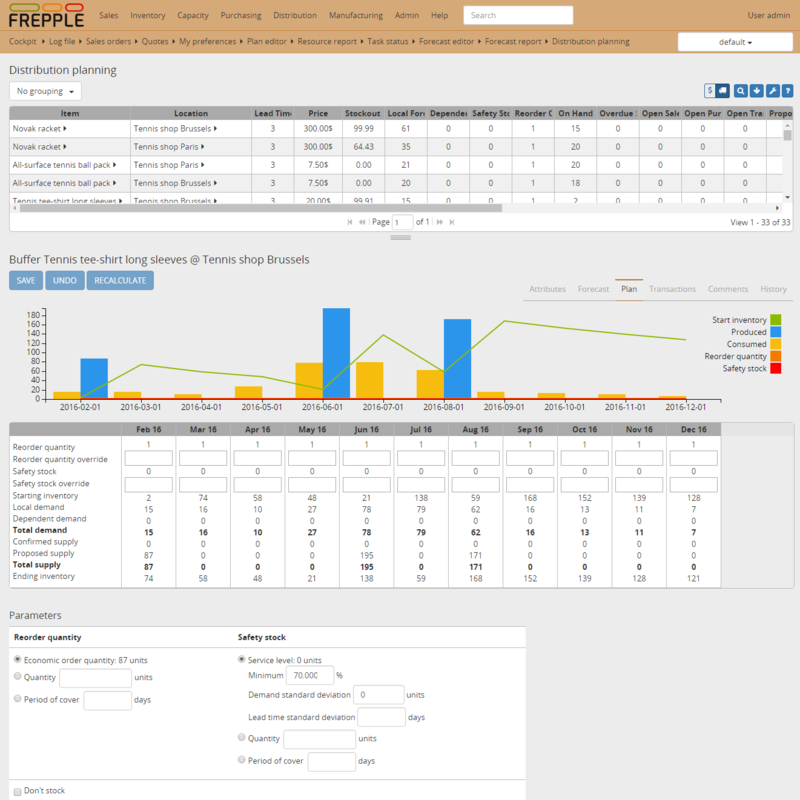 Rebalancing requests: frePPLe identifies excess inventory and proposes requests to send this excess back to parent location.